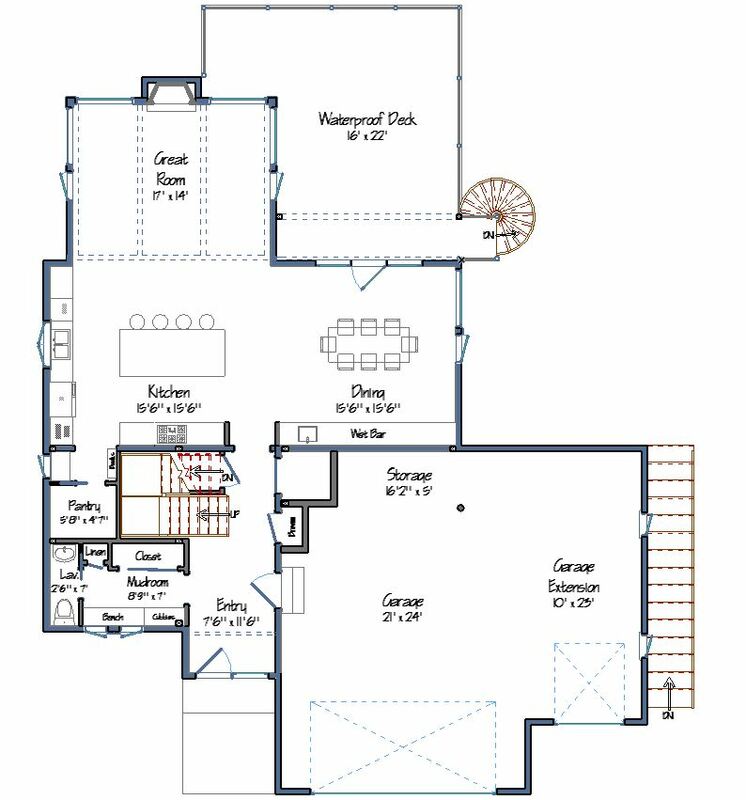 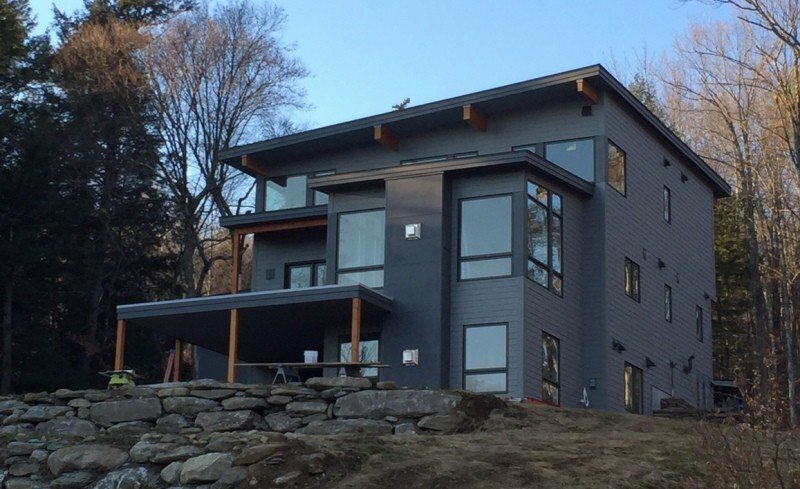 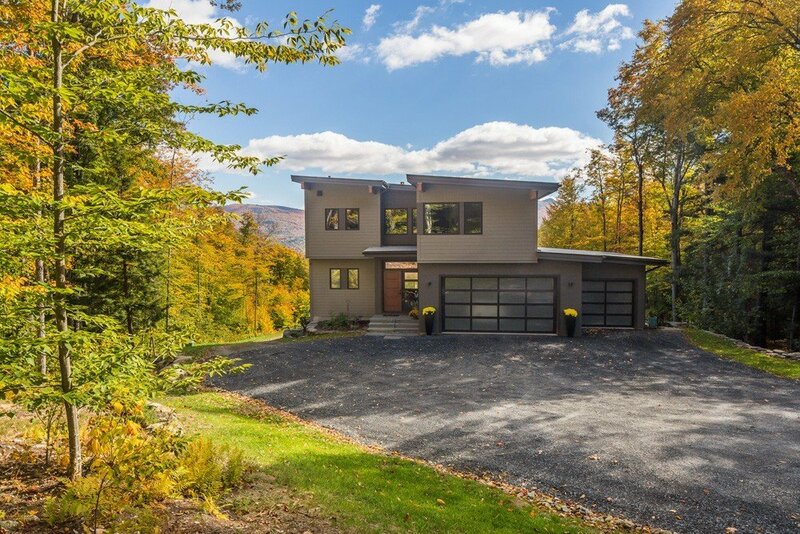 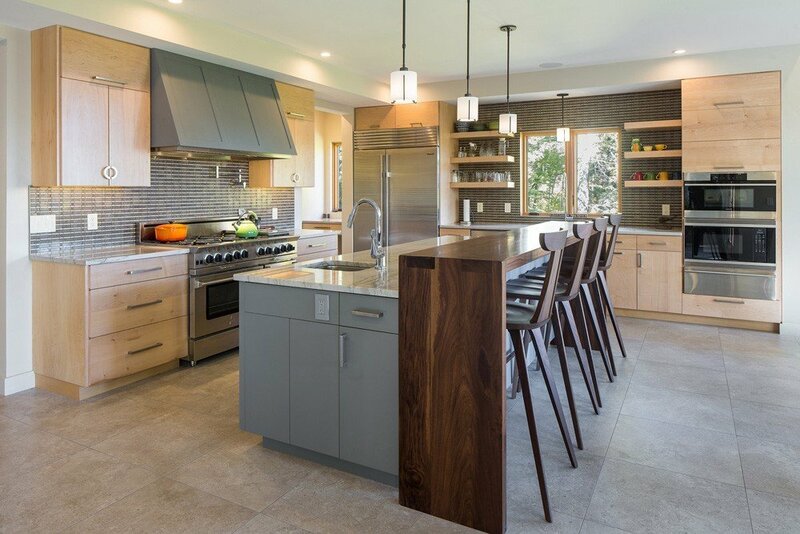 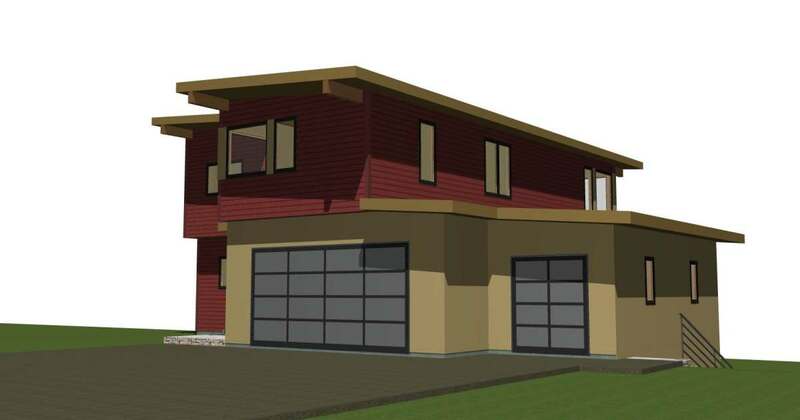 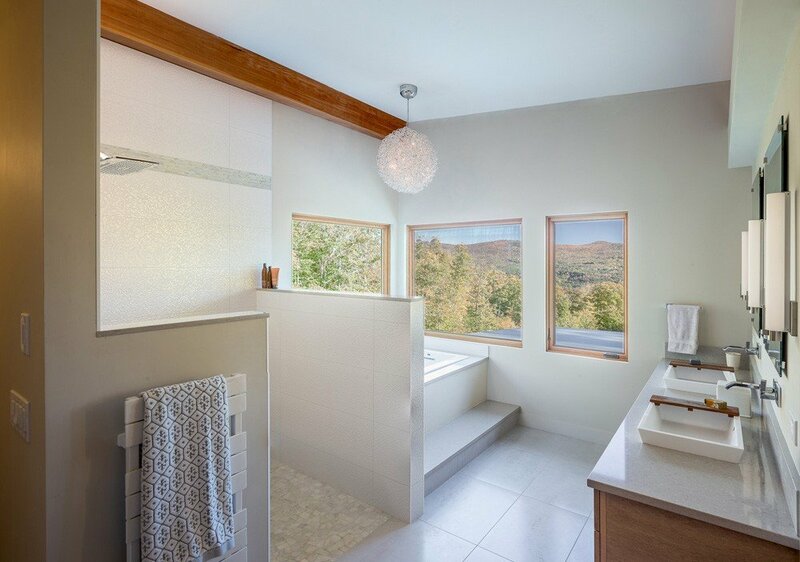 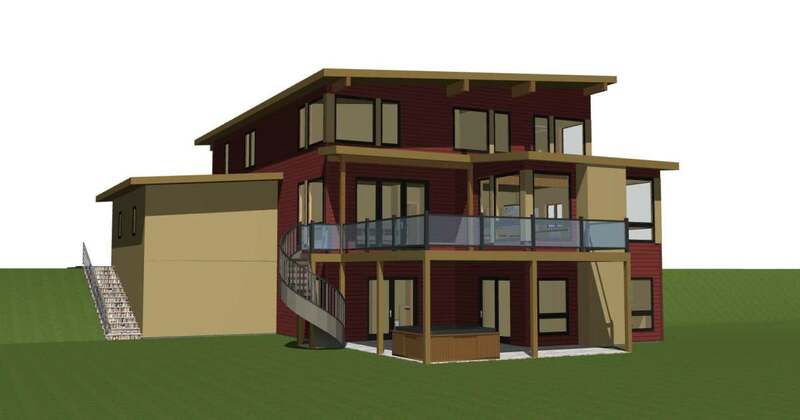 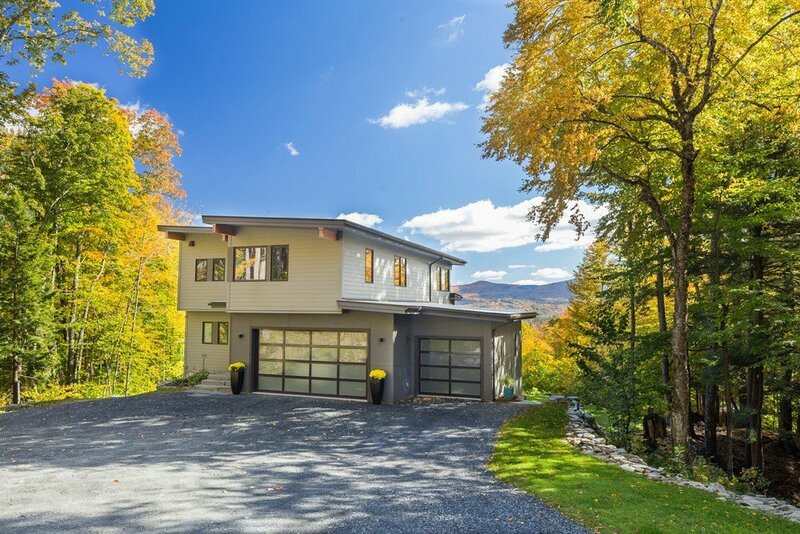 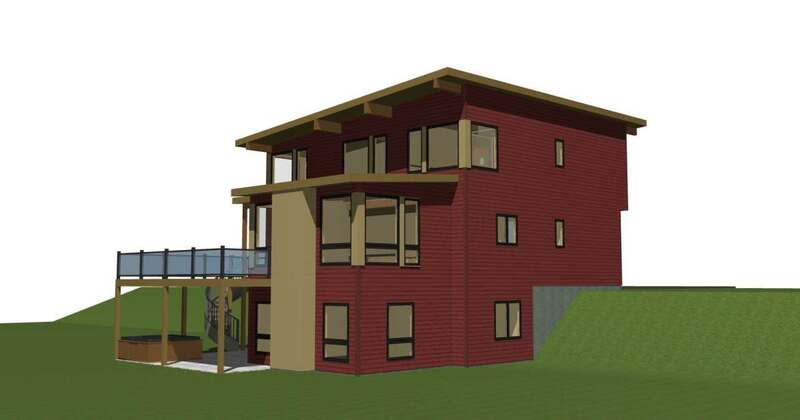 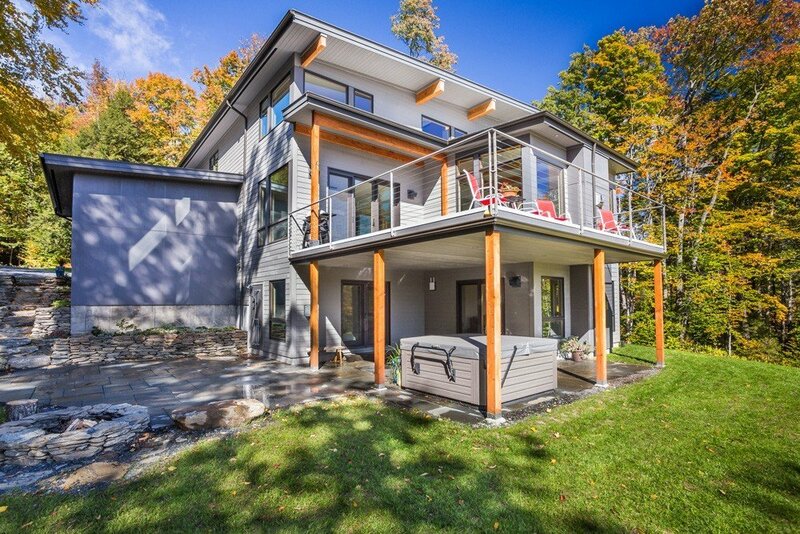 The Mad River Modern comes in at 2,577 square feet of living space, 3 bedrooms, and 2.5 baths. 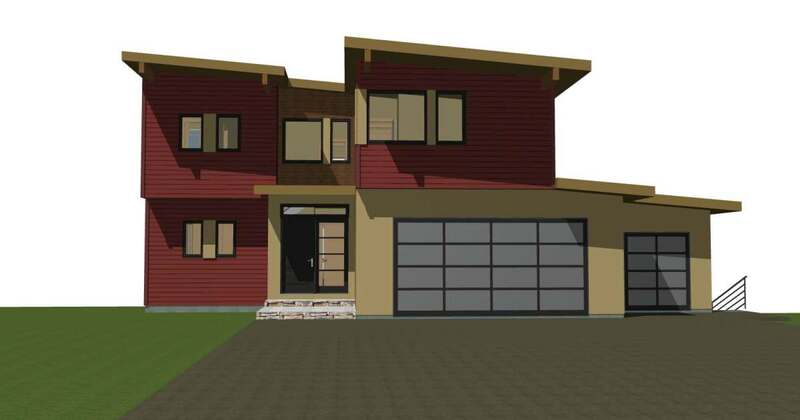 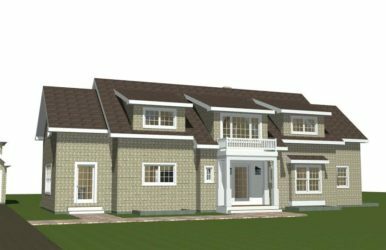 Additionally, an optional walkout basement adds another 832 square feet of finished living space with potential for an extra bedroom and full bath. 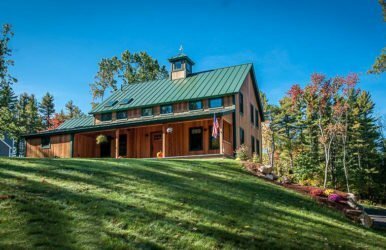 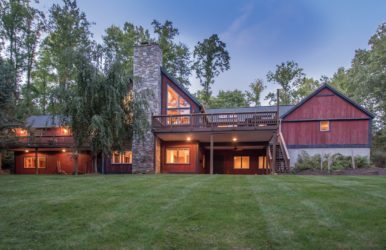 The features of this Yankee Barn™ follow along with the original intentions of the Mid-Century Modern style. 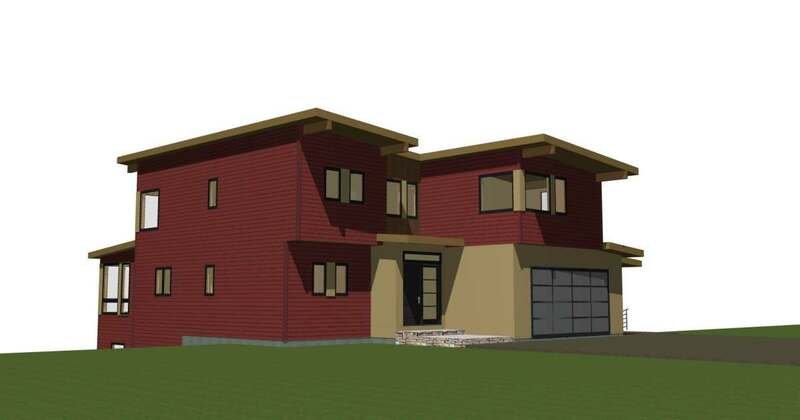 This contemporary design was intended for a sloped build site, but would work equally well on a level lot. 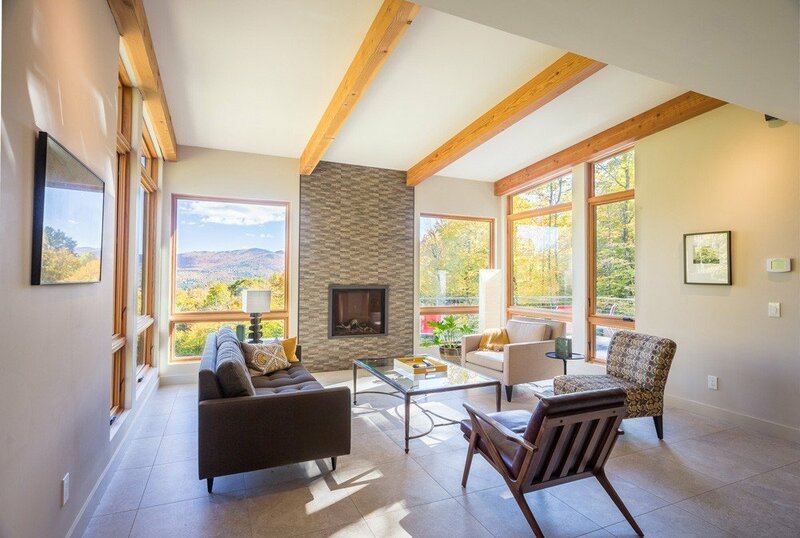 An open floor plan and floor-to-ceiling windows allow for maximum natural light and panoramic views. 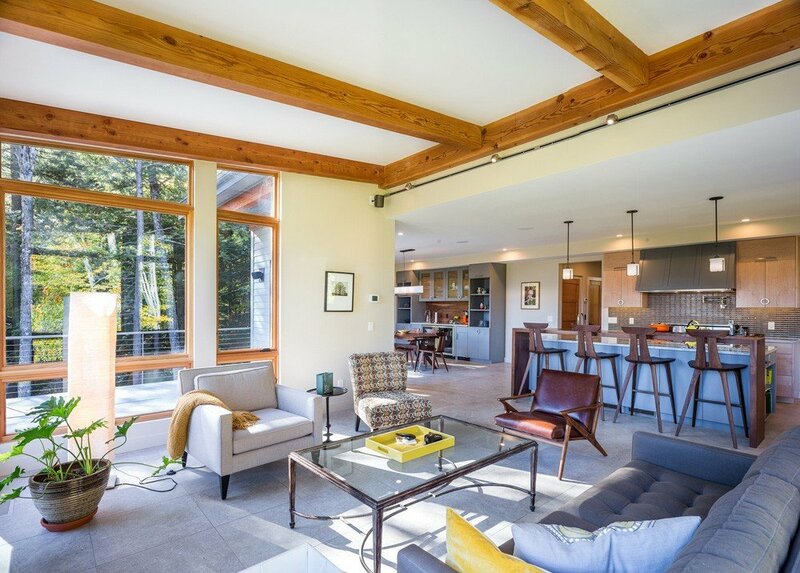 A neutral color palette emphasizes the natural warmth of the post and beam frame throughout the home. 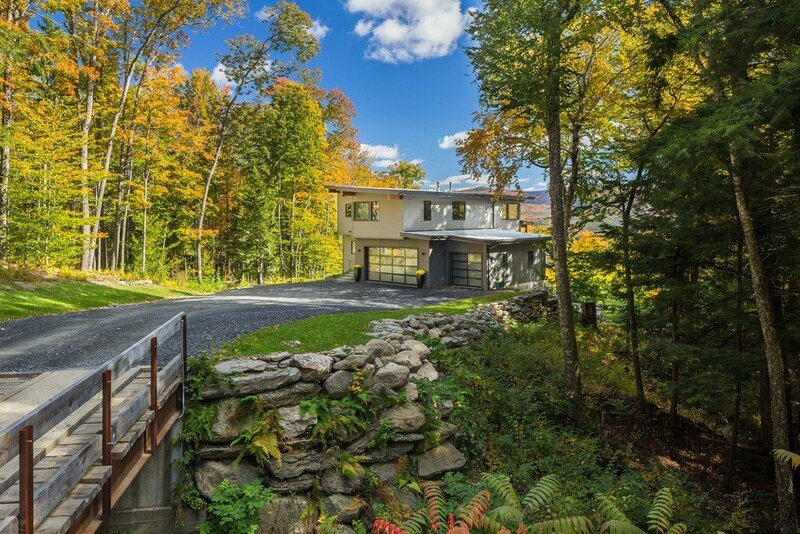 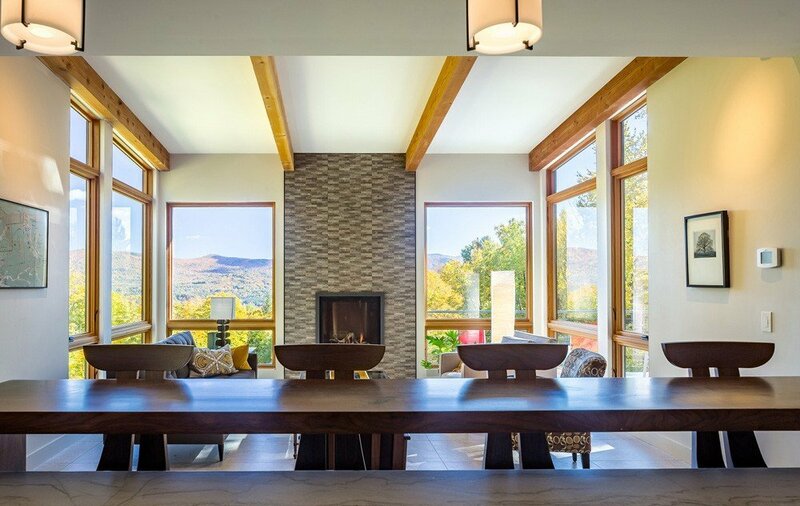 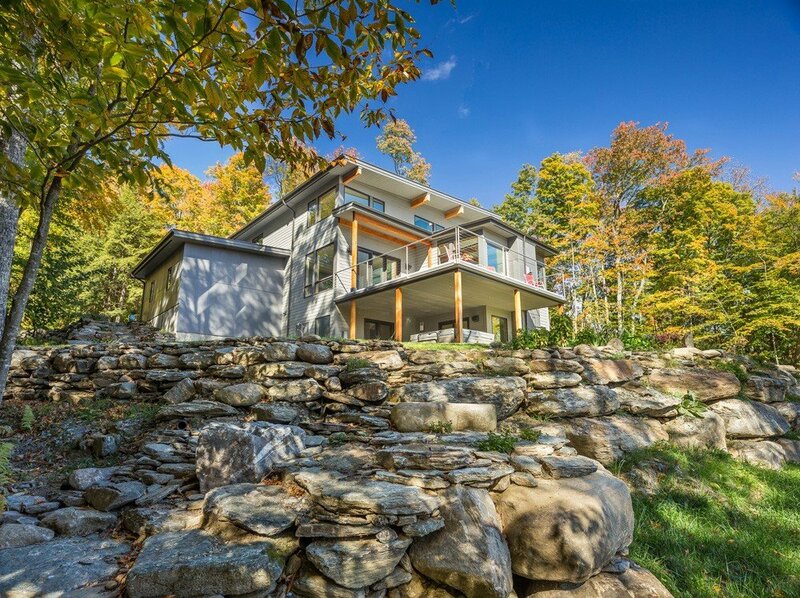 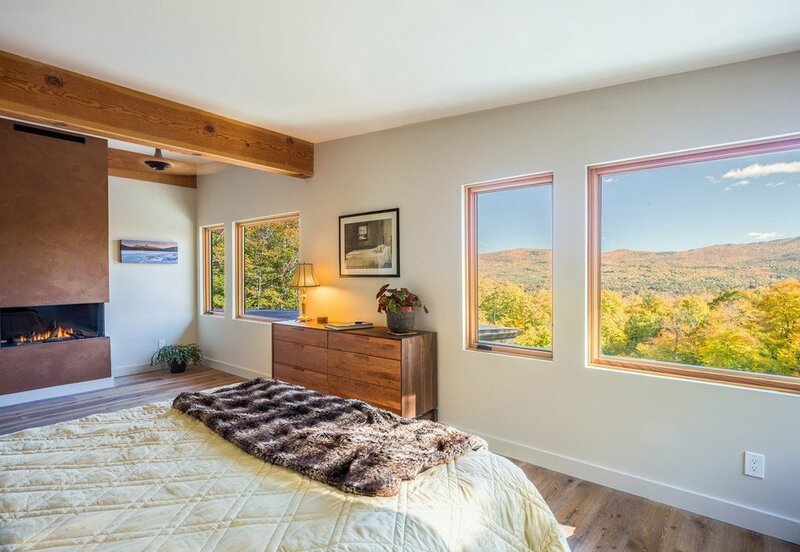 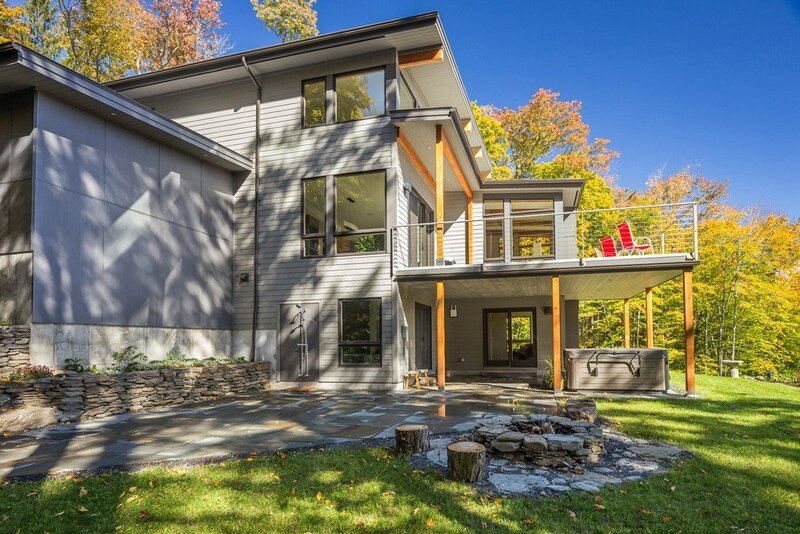 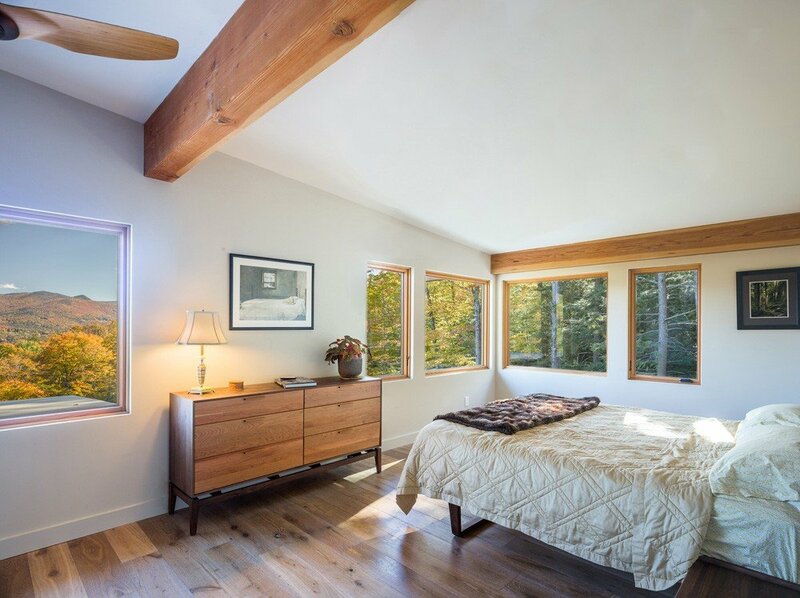 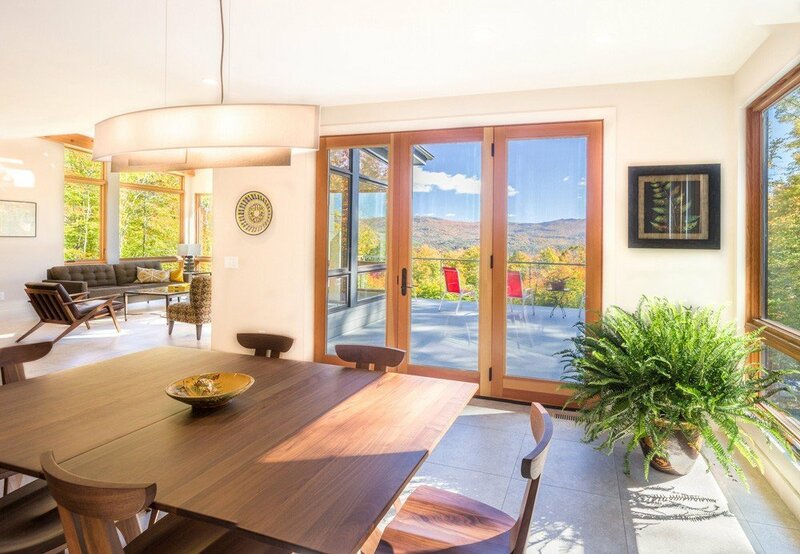 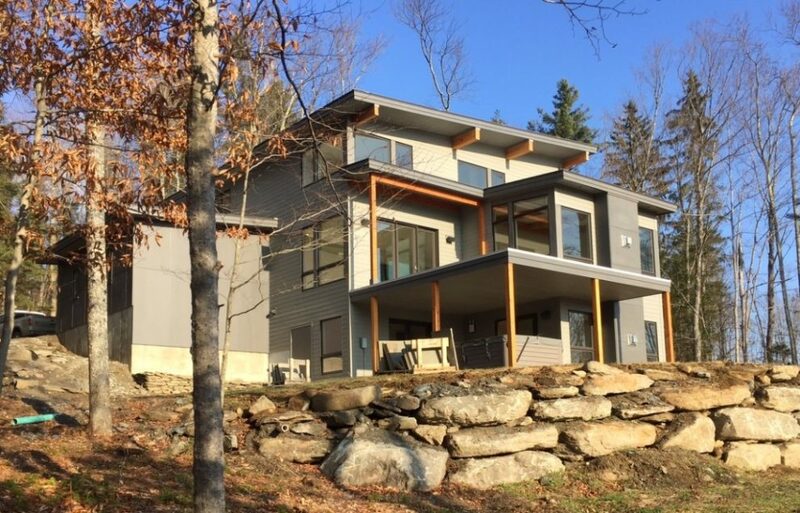 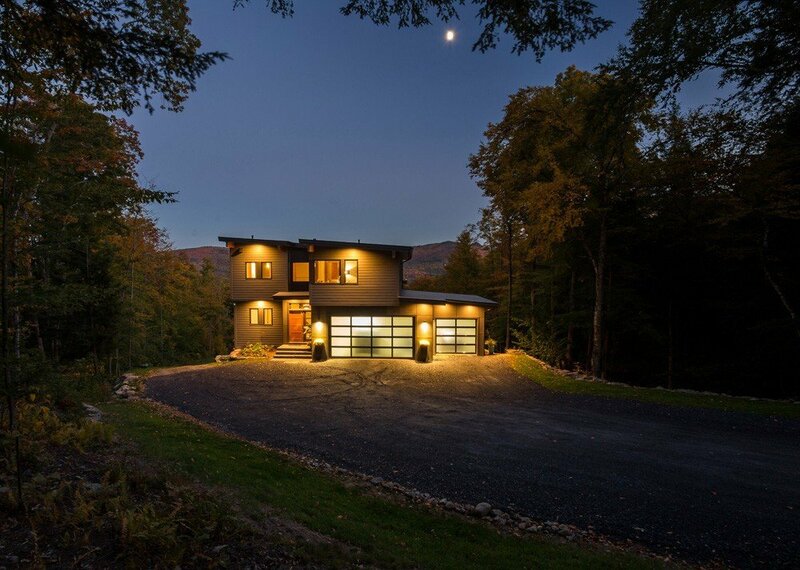 The open living area seamlessly progresses outdoors to the first floor waterproof deck, overlooking the Green Mountains of Vermont. 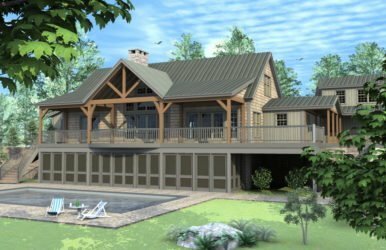 The patio directly below is protected from inclement weather making it a great space for entertaining, even on a rainy day.